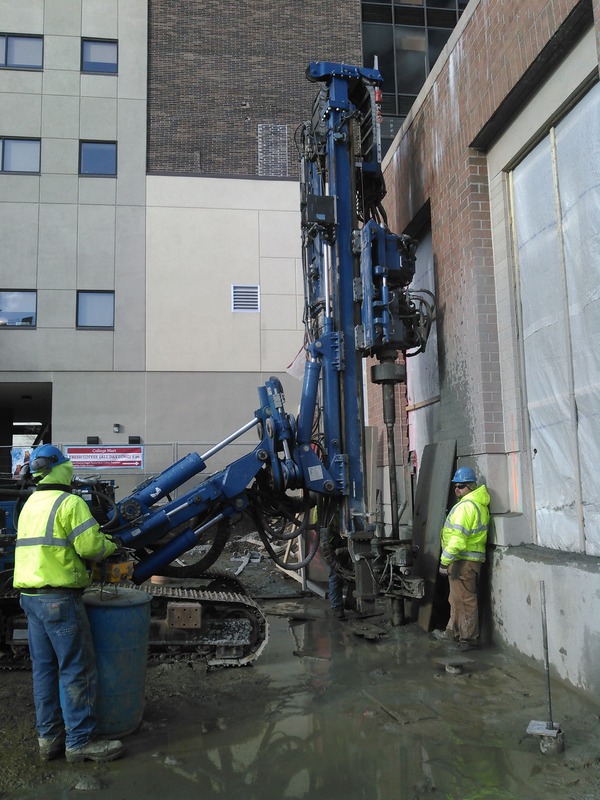 We were contracted to perform a design build contract with 20 ton micro piles required to support a new building at the college. The pile caps were constructed where excavation to the weathered rock layer was not cost effective in contaminated soils and proximity to existing structures. 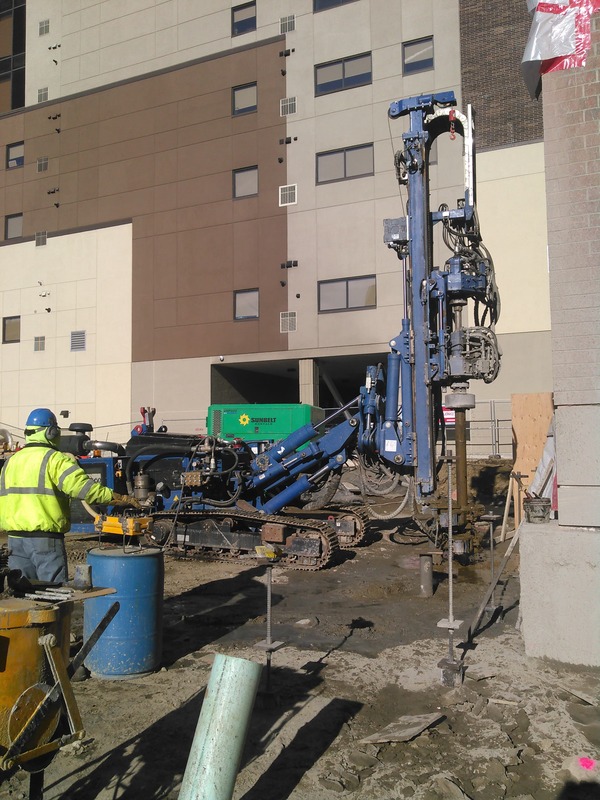 The drilling was through historic fill and glacial till and much of the drilling was within 18 inches of the existing structure. The whole crew enjoyed a 30 hour OSHA Hazwoper class in advance of the project start! MD&B submit procedures and equipment to demonstrating to the project team that work can be safely completed with the use rotary percussion duplex drilling with air flush. This reduced the time spent on potential obstructions in the fill and glacial till as well as the quantity and costs to manage of water based drilling slurry/spoils with the contaminated soils. The Design and Construction for the 1100 LF of 20 ton micropile were installed on schedule. We completed the project without any changes to our lump sum contract price. Tim Blais - Sargent Corp. I would like to thank the Maine Drilling & Blasting crew at Canton Wind Farm Project. They worked safely, productively, and as a team. They were very adaptable to changing conditions and challenges, and displayed upbeat attitudes even in the worst conditions. I would like to say thank you to all involved."